Now that warm weather is approaching, it’s time to put away the gloves and treat ourselves to a manicure. You can make painting your nails a wonderful self-care exercise. Just pick a color that you love and pamper yourself. But if you really want to feel great, cruelty-free nail polish is the way to go. It’s incredibly easy to find nail polishes that haven’t been tested on animals online. To help you out, we’ve selected 15 that are available on Amazon. We want to introduce you to new options, so many of these are not the popular brands you’re used to. Even better, most of these nail polishes are made without many of the toxic ingredients that many polishes contain. 786 Cosmetics Nail Polish is vegan, cruelty-free, and halal friendly. It’s free of parabens, formaldehyde, and other toxic ingredients. It’s breathable formula allows water to permeate through so that nails stay hydrated. It’s also eco-friendly and fast-drying. There are 25 colors available, and their prices range from $8.99 to $13.95. Karma Organic Natural Nail Polish is 100 percent organic, free of toxic ingredients, and is suitable for everyone from children to pregnant women and people with allergies. It’s a mood changing nail polish that has no harsh odor, is chip-resistant, durable, and doesn’t become yellow. Not only is this nail polish vegan and cruelty-free, the packaging is completely recyclable. There are eleven colors available and their prices range from $9.99 to $11.99. 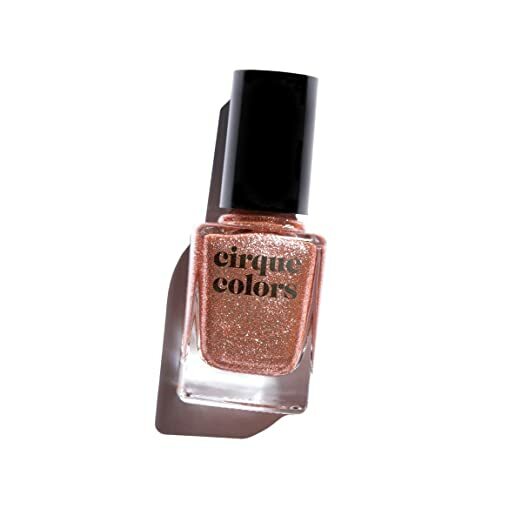 Cirque Colors Metallic Nail Polish is made with special metallic pigments that give it a shiny, mirror-like finish. They’re rich in color, opaque in 2-3 coats, and have a smooth long-lasting finish. These polishes are vegan, cruelty-free, non-toxic, and free of the four most toxic ingredients often found in nail polish. 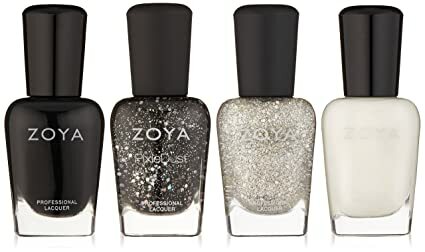 There are three metallic colors available: Druzy, Halcyon, and Reflektor, and they all cost $14.00 each. SHANY Cosmetics Nail Polish Set has colors inspired by earth shades like toned tans, copper soil, beach beige, reflection gray, and pure peach. They’re highly-pigmented and allow for buildable coverage. The finish is semi-glossy and shimmery. Shany’s polishes are also chip-resistant, bubble-free, and long-lasting. As a member of PETA, all their products are completely cruelty-free. Sets available include Brown, Funky, Gold, Green, Orange, Pink, Purple, and Red. The sets costs between $13.29 and $14.95. 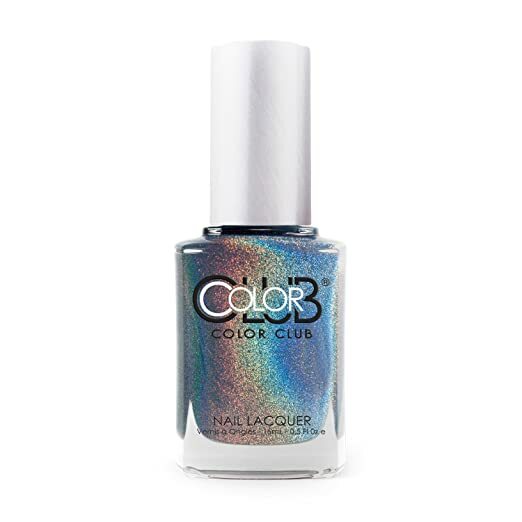 Color Club says their Halographic Hues nail polish will bring a touch of heaven to everything you do. The polishes don’t contain formaldehyde, toluene, and DBP chemicals. They’re also vegan and cruelty-free. Seven hues are available: Gold, Peach, Pink, Rosy, Angelic Pink, Beyond, and Shimmering Sky Colors, and their prices range between $5.25 and $11.99. 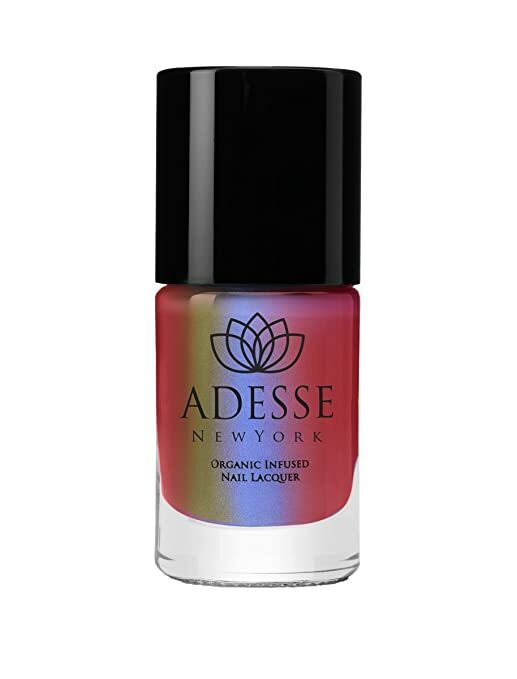 Adesse New York’s Organic Infused Liquid Chrome Nail Polish is free of twelve of the most harmful ingredients usually found in nail lacquer. It’s a long-wearing, fast-drying polish that makes your nails look ‘plump’ without the use of gel polish or LED lamps. The polishes are gluten-free, vegan, and cruelty-free (both PETA and leaping bunny certified). Five colors of this liquid chrome polish are available: Grand Central (steely and shimmery gunmetal gray), Lady Liberty (pinky red with shimmers of silver and green), St. Regis (shimmery green), Top of the Rock (pinky gold), and Waldorf Astoria (liquid silver). They each cost $20.00. An Amazon customer says, “Gorgeous!!! Long lasting & compliments every time! 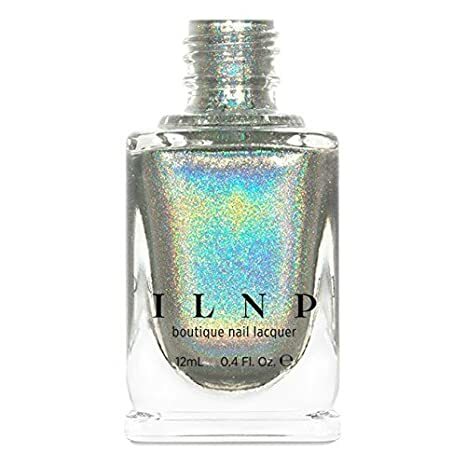 ILNP Mega Holographic Nail Polish is a high quality, boutique nail lacquer. It’s long lasting and fast drying. You don’t even have to use a base coat because it’s fully opaque. This polish specifically leaves an intense holographic sparkle. The best part is that it’s vegan and cruelty-free. It costs $10.00. 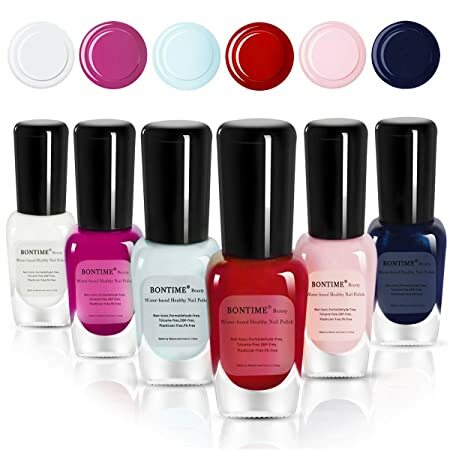 BONTIME Non-Toxic Nail Polish is water based and free of chemical solvents that are corrosive to nails. The lack of chemical solvents also means it has low odor. These polishes are organic and safe for kids and toddlers. They dry rapidly and don’t require a UV lamp or nail polish remover because they peel off effortlessly. This vegan and cruelty-free polish costs $13.98. 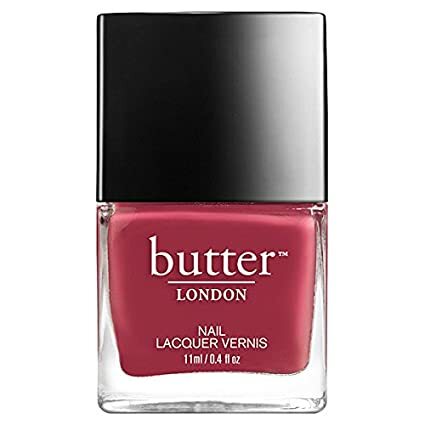 butter LONDON Nail Lacquer is free of eight of the most toxic ingredients often found in nail polish. It’s infused with vitamins B, C, and E to promote strong, healthy nails. It’s available in 31 colors including glittery shades and classic colors. Each polish costs $9.00. Deborah Lippmann Sheer Nail Lacquer contains aucoumea klaineana extract, a natural resin from west african trees that strengthens and prevents ridge formation. It also contains green tea extract, but it does not contain toluene, formaldehyde, formaldehyde resin or DBP. It’s also not tested on animals! There are 8 colors available and the prices range from $14.99 to $18.00. This e.l.f. 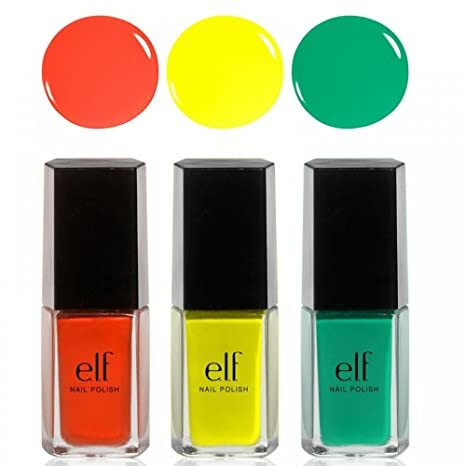 3 Piece Nail Polish Set is called Beautifully Bright because it will certainly add a pop of color to your hands! The bristle design of these polishes is meant to glide color on flawlessly. e.l.f. Piece Nail Polish is cruelty-free and affordable. This set costs just $5.99. 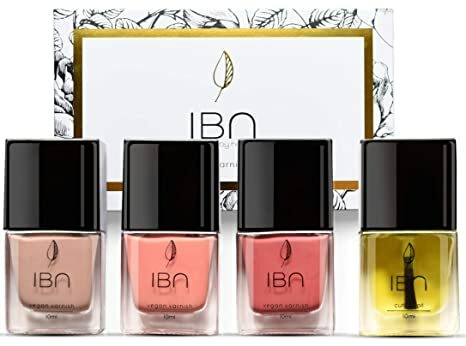 IBN Non-Toxic Vegan Nail Polish dries quickly, lasts long, and is peelable. It’s vegan, cruelty-free, and free of eleven of the most toxic ingredients often found in nail polish. It doesn’t require uv lamp, nail polish remover, and it has very little odor. These polishes are made with a natural blend of jojoba oil, sweet almond oil, and vitamin E. IBN says, “we do not kill innocent crustaceans or beetles to give you our rich vibrant colours. Instead we turn to earth minerals such as Hematite Stone which also has its energy healing properties.” The price for this set is $24.99. 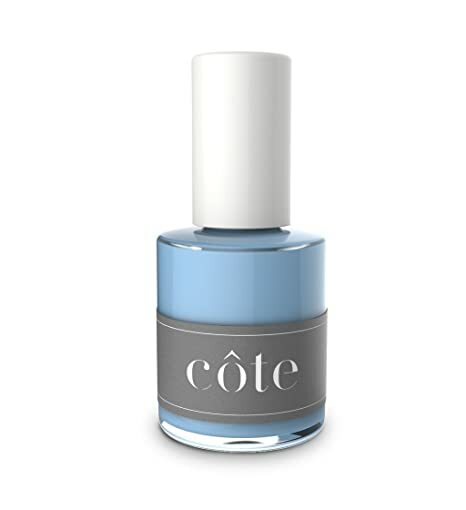 Cote Toxin Free Nail Polish is vegan, cruelty-free, and free of the major toxins associated with nail polish. The bottles are crafted from Italian glass and the brushes allow for even strokes and accurate application. There are 21 colors available in all kinds of shades from periwinkle blue to reds, pinks, pastels, and more! They all cost $18.00 each. PS Polish All Natural Vegan Nail Polish uses Grapefruit Seed Extract in place of toxic ingredients because when combined with other ingredients it creates polish with great colors for healthy nails. The polishes are vegan, cruelty-free, safe for children, and non-staining. Eleven colors are available and they all cost $14.99 each. 15 Cruelty-Free Facial Cleansers to Consider Adding to Your Self-Care Routine!